Meghan Markle Closing Her Own Car Door Excites Social Media Users The Duchess of Sussex stepped out of her car Tuesday evening after the the door was opened for her, and then shut it herself, shocking some Twitter users. 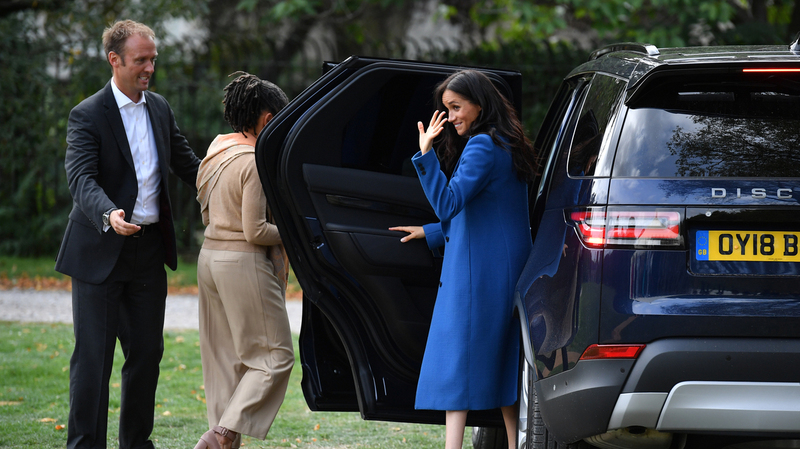 Meghan Markle, the Duchess of Sussex, makes headlines for closing her own car door upon arriving at the Royal Academy of Arts. On Tuesday evening the Duchess of Sussex provoked commentary on social media through doing something most of us do every day – closing her car door. Meghan Markle was arriving at the Royal Academy of Arts to attend the opening of an art exhibit titled "Oceania" in her first solo outing as a royal, when she broke protocol through casually shutting her own car door. "First time I've seen an on-duty princess shut her own car door," wrote one Twitter user. "I really don't think it occurs to her that someone else is there to do that," wrote another. I really don't think it occurs to her that someone else is there to do that. It is something she's always done herself like the rest of us. The BBC interviewed etiquette expert William Hanson about the protocol breach. "Usually, if you are a member of the royal family or a dignitary, you have a member of staff to open and close a car door for you," he told Radio 1 Newsbeat. He said this was for security reasons rather than "airs and graces." 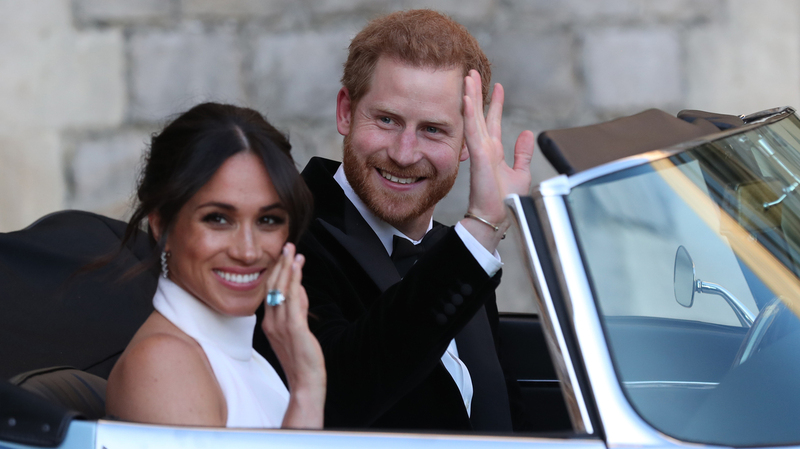 Markle first made waves after her wedding, and on the way to the post-ceremony reception, when she reached over to make sure Prince Harry's door was unlocked while they were getting into their convertible. Meghan Markle, the Duchess of Sussex, and Prince Harry wave as they leave Windsor Castle en route to their post-wedding reception. Last week Markle also parted with protocol by closing her own car door at the launch of a charity cookbook. Meghan Markle, the Duchess of Sussex, and her mother Doria Ragland arrive at the launch of her cookbook featuring the recipes of women who lived in Grenfell Tower. In an article about Markle's move to close her own car doors, People magazine reported," Markle, who identifies herself as a feminist on the Kensington Palace website, has long been a proponent of gender equality. The Suits actress worked with UN Women and advocated for girls around the world through her contributions to World Vision Canada. The cookbook released last week is sponsored by Markle. It's a collection of recipes by women who lived in Grenfell Tower, the high-rise in West London where seventy-two people died in a 2017 fire. "The cookbook introduces each recipe with a brief note from the woman who contributed it, such as Ahlam Saeid, who earned a master's degree in chemistry in her native Iraq, from which her recipe for green rice originates, or Lillian Olwa, whose recipe is for chapatis like those she ate while growing up in Uganda, and who took up cooking in the wake of the Grenfell fire, after growing tired of eating packaged food while living in temporary accommodation—Londoners both. As a new Londoner herself, Markle may find other subtle ways to speak for the sixty per cent of the city's residents who voted against Brexit, it being plainly against the spirit and interests of the capital city to cut itself off from Europe or beyond."